As part of its social initiative on “Women Empowerment and Unity Diversity”, Rodic organized a cycle expedition under which two girls i.e., Ms. Harsha Mishra and Swaitri Murmu from Jharkhand, undertook a cycle journey from Jharkhand and reached to Jammu. Upon their arrival at Jammu, these two girls were felicitated on 30 November 2017. 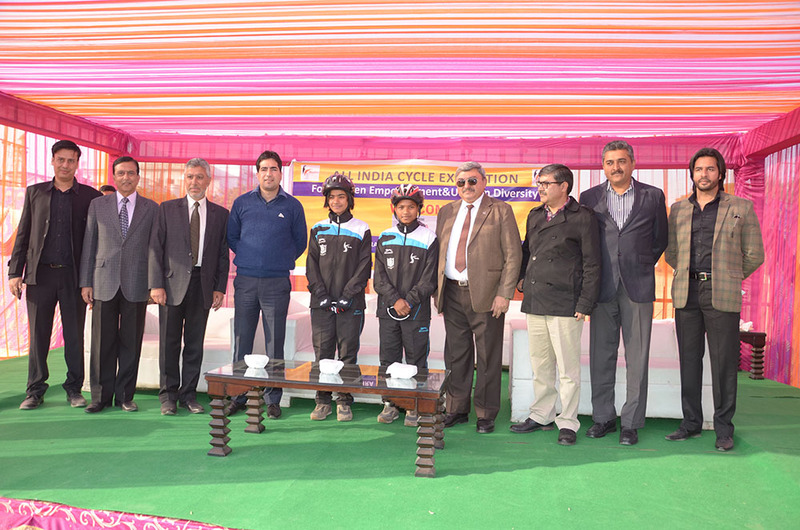 The felicitation ceremony was presided over by Shah Faisal, Managing Director, JKSPDC and other dignitaries of NHAI, NHIDCL, Major Gen. Neeraj Bali, CEO and Shagun Chopra, Regional Manager, Jammu Region.